When Jain started posting videos with her horse, she never expected them to turn into a business. It was just about teaching her horse some tricks, and seeing if anyone else wanted to do the same. It turns out, there are a lot of people out there that want to have fun with their horses and do things other than riding. Jain’s early videos hit on an unmet need. There are a lot of resources out there for people learning to ride—but not nearly as many for people who want to bond with their horses in other ways. The message resonates. 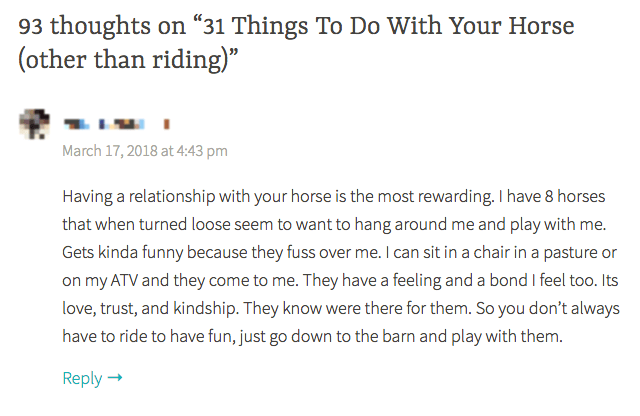 Just one blog post on “things to do with your horse” picked up 93 comments like this one. 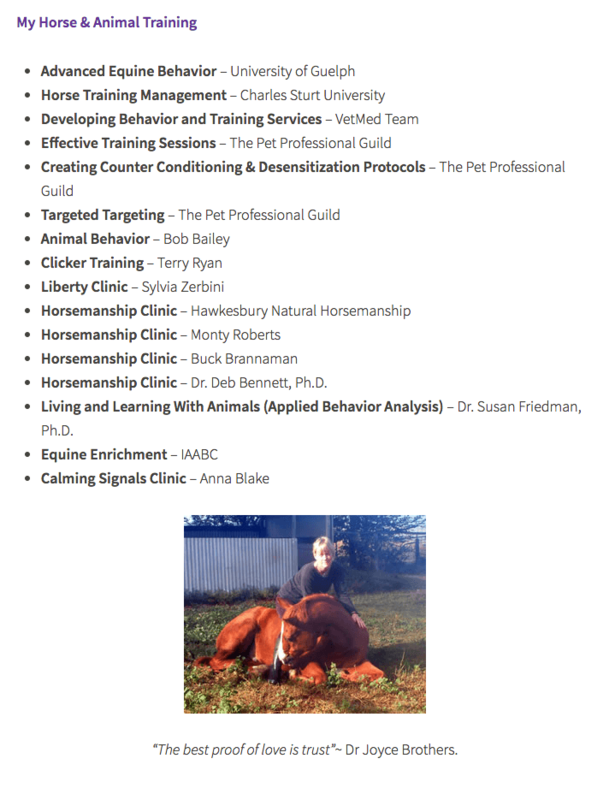 Today, Horse Tricks 101 has over 80,000 Facebook followers and a strong email list. To turn that into a business, Jain uses ActiveCampaign. Jain’s business runs on her outstanding content. Jain lives on a pecan farm, and works on Horse Tricks 101 when it isn’t the harvest season. Because of her environment, a lot of the content she produces is her playing with her own horses on the farm. Why does it work? Because Jain’s commitment to lifelong learning has taught her a lot about how to train horses. How does she turn that into a business? By pulling a page from the standard online business playbook. Visitor → lead magnet → customer isn’t a complicated system. But it works because of Jain’s expertise, and because she can use ActiveCampaign to set up all the automations she needs to make her business run. With a funnel set up, it would be easy to sit back and just…let it run. Jain takes things a step further. Right now, she’s setting up a more comprehensive online course, hosted in the online membership software Kajabi, to grow her business more. And, of course, she tests. By testing each email she sends, Jain can find the messages that work best to get her more customers. As she’s learned, it isn’t always obvious which emails are going to get noticed (or ignored)—testing is a crucial step to making sure Horse Tricks 101 keeps growing. 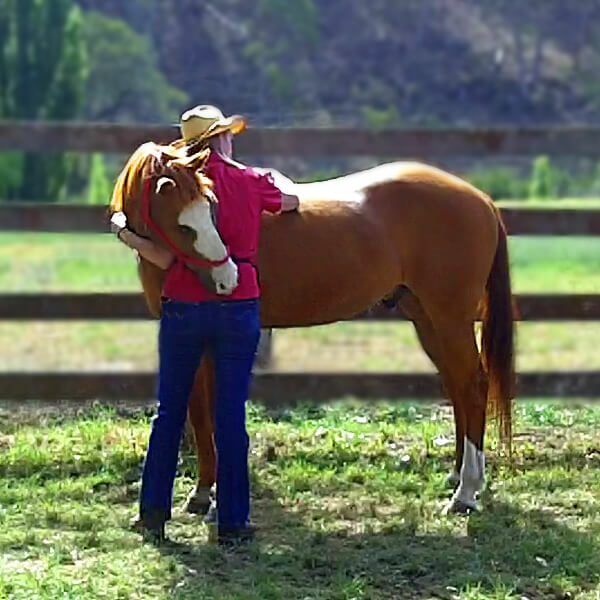 Backed by strong content and automation, Jain has been able to turn her passion and knowledge of horses into a growing business.